By the time Ron was seventeen, he had written an album’s worth of stellar songs for a Seattle based band called The Wailers, along with a regional hit single entitled "It's You Alone." Ron's unique style of singing and writing (referred to by Joan Baez as a cross between Bob Dylan and John Lennon) caught the attention of A&M record executives in California. Ron was signed to a recording contract in 1968 and released his first solo album, which he called "Silent Song Through The Land," featuring nine of his original compositions including the blues standard "It Ain't Easy." 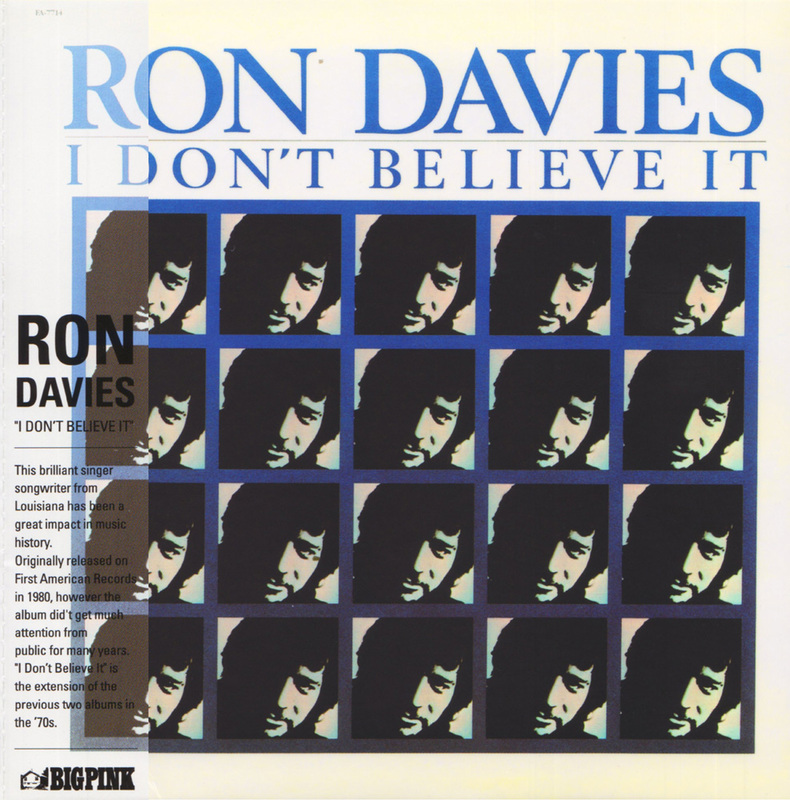 As a side note, the angelic harmony vocals on this album were sung by Ron’s beautiful young wife, Vicki Lynn Davies, who was his singing partner from 1962 to 1974, as well as the mother of his two daughters. Ron’s career received a major boost in 1970 when Three Dog Night recorded “It Ain’t Easy” and made it the title of their album. 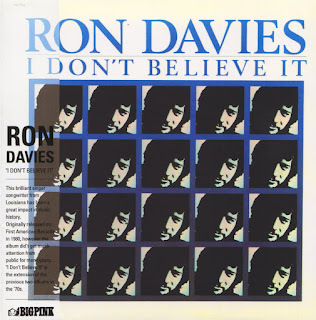 Although often miscredited to Ray Davies from The Kinks (Ron displayed his wry sense of humor when he asked his publisher to take some of The Kinks out of his copyright), “It Ain’t Easy” gained international fame when a British artist by the name of David Bowie recorded it on his RCA album "The Rise and Fall of Ziggy Stardust and The Spiders From Mars." 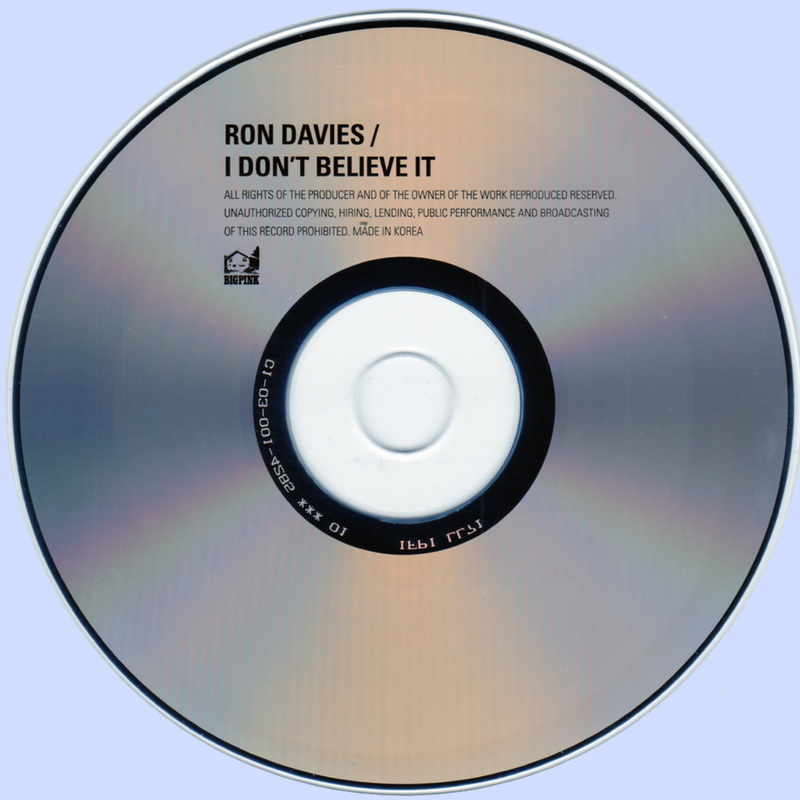 It wasn’t long before Ron Davies’ songs were in demand and being recorded by such iconic artists as Long John Baldry, Dave Edmunds, Joe Cocker, Anne Murray, Dobie Gray, Bettye LaVette, Chris Smithers, Glenn Yarbrough, Merry Clayton, Mitch Ryder and Steppenwolf’s John Kay, to name a few. Australian born pop singer Helen Reddy recorded what would later become one of Ron’s signature songs entitled “Long Hard Climb” and made it the title of her 1973 platinum selling album. This song was also recorded by Maria Muldaur on her 1974 Reprice album "Midnight On The Oasis." 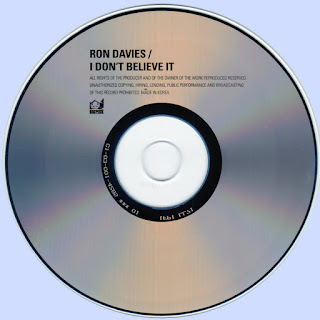 Even though Ron Davies was the author of an impressive music catalog, he only recorded five albums during his lifetime: Silent Song Through the Land, U.F.O., I Don't Believe It, Gold and Silver and Where Does The Time Go. Ron sadly passed away of a heart attack at his home in Nashville on October 30, 2003.